Whether you need a single coach transfer across town from hotel to venue or a programme of shuttle bus services and station or airport coach transfers for delegates, we will be delighted to assistance, whether your requirement is in Derby, Nottingham, Sheffield or any other location. 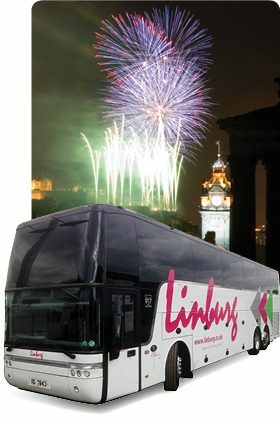 If you want to show your delegates the delights of the Derbyshire Peak District by coach or a coach tour of the vibrant modern city of Sheffield by night, to hire a luxury Linburg would be a good choice. We'll be happy to offer our assistance with itinerary suggestions, coach route planning and estimates of coach journey times. We have 24 hour, 7 day a week contact with any coach, so last-minute variations to coach routes or timings are no problem. Please call 0114 2619172/01332 554823 or e-mail: info@linburg.co.uk and let us help with the arrangements for your Conference coach travel available from both our Derby and Sheffield branches.